International Trade fairs are expensive, one-shot opportunities. You just spent a lot of money on renting the floor space; designing and building an attractive booth; printing your marketing literature; booking flights, hotels and meals; packaging and shipping your display products; you’re ready to go, right? Is their language level up to it? Do they have the intercultural awareness and skills necessary? Do they have the networking skills? Do they have the negotiation skills? The presentation skills? Are they familiar with booth etiquette? Can they efficiently qualify leads? Are they aware of their body language? Can they perform with these skills at their top level in a foreign language – while looking and acting their best after standing all day and socializing all night? Let’s face it, you need your staff to communicate with booth visitors quickly and efficiently. Whether you are collecting quality leads or selling product on site, in the fast paced arena of a trade fair, time is of the essence and first impressions are paramount. It starts before they even get to your booth. 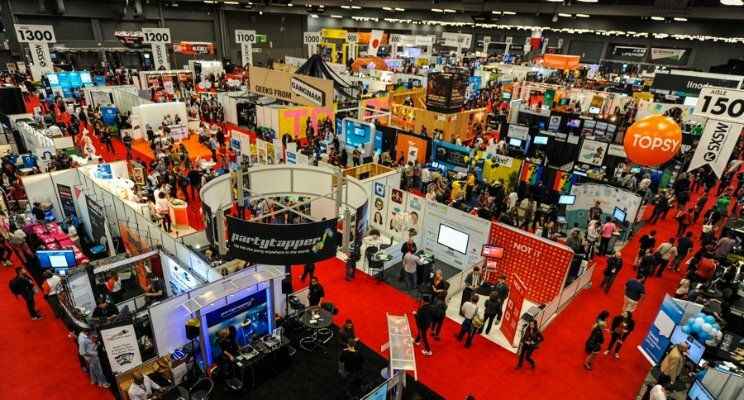 As visitors walk the show floor they size you up long before they reach your booth and form preconceptions about your company based on what they see your staff doing (or not doing), their dress, their demeanor, their activity and body language. A good show team knows how to always look and act their best – is always on. In the time it takes to snap and upload a selfie, about 15 seconds, your staff have to engage the prospect before they walk away. Well prepared booth staff, confident in their language ability, make eye contact with a welcoming body posture, ask open-ended questions that quickly establish rapport and interest. If they’re with someone already, they let the new customer know that someone will be right with them. And no matter their job, if they’re free, they step up and cover. In the time it takes to brush your teeth, about two minutes, your staff have to qualify the prospect. Well trained floor staff are able to resist the temptation to hard sell, and have the language to craft more open questions that extract enough information to qualify. They’ve been trained on how to tactfully record that information. They have the awareness to avoid the various cultural landmines that present themselves. And they have the language and ability to disengage gracefully from unqualified show attendees. Just over two minutes – start to finish – no wasted time. Your staff’s confidence in using English to communicate with prospects translates into qualified leads with lots of information about their pain points, needs, scope and authority. They adapt their elevator pitch to any situation and are active listeners. Product benefit conversations and demos are fluent and memorable. Handovers to product experts or management are smooth and comfortable. Your well prepared staff glows with a friendly professionalism that makes them stand out on the show floor. According to a survey reported in Exhibitor Magazine, only 26% of exhibitors conduct staff training for all or most of their events. They say this means that even simple training sessions can put your company a step ahead of your competition, and we agree. We can get them ready. We’ll do a language audit and skills gap analysis of your team. And then working with you, we will draft a training program to fit your needs. We’ll deliver your bespoke training program using materials, scenarios, simulations, role plays and exercises blended into active, enjoyable sessions. We draw material from the worlds of business, improvisation, and ESL to improve the English language fluency and confidence of your team while re-enforcing the knowledge and skills to prepare them for their trade show assignments. Write or call us and find out how we can help you to make sure they’re ready.